Read the papers first Sue, and take a wild ride to the past. Those were still the "innocent" years. There is a market for everything. Just list and let it run what have you to lose? The third major market would be "Were you born on this date"? Good Luck! How many of these do you have? 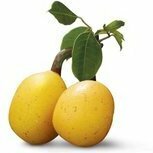 are they all Afrikaans and in what condition? To think those valuable papers usually ended up in the outside longdrop toilets (kleinhuisies) those days. 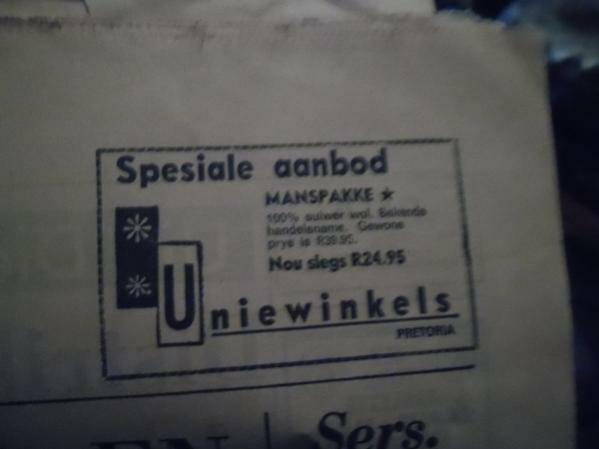 Yeah... those were the days my friend..
About 2 years ago I think, I sold about 10 old newspapers from Rhodesia dated 1960's and made good money. The guy who wanted all my old newspapers needed them for the adverts or something for a project. Well, having got married in the late 60's I would love some confirmation of my memories that one could live happily on R10.00 a week - yes a week - for groceries (including meat, milk and hubby's cigarettes!) Hubby was earning R260 per month and we bought a house, a brand new car for cash and had a baby all within the first year of being married. We also had a superb holiday at a hotel in Durban. Everything was paid for in cash, apart from the house. 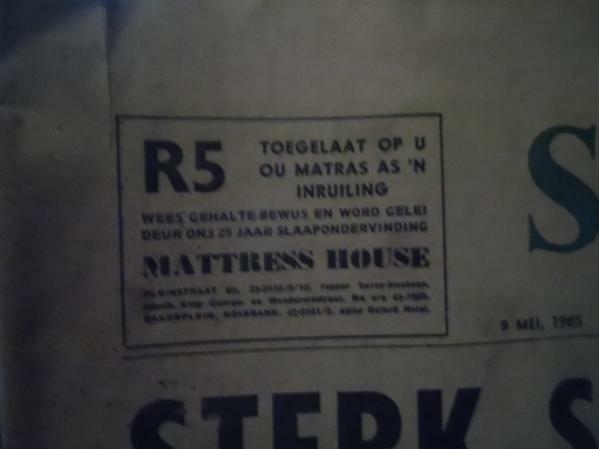 Our first house, in 1967, cost us R5 725.00 for a 3-bedroomed home on a quarter acre plot with garage and servant's quarters in Cambridge, East London. Our bond repayment was R23.00 per month. I still have the Deed of Sale which in itself must be quite a valuable (and almost unbelievable!) document! Thx Wayne, I think I'll list hem over the weekend and see how it goes:thinking: Any idea on how much I should start the auction? ooh hell, I can't remember what I listed mine at but it might have been like R50 or something. I had to do a Buy-Now for the Buyer with those newspapers and some others. I know mine were the property paper or something but yours are actual newspapers so maybe check around first. 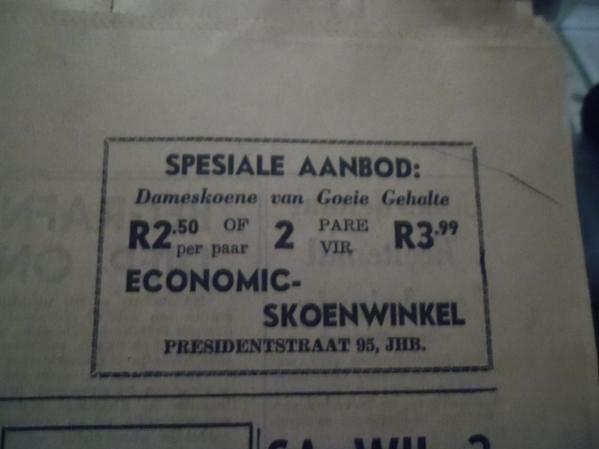 Worst thing about reading old papers is old adverts - When you see what the price of things where back then, and now. Cars have changed over the years, so it's difficult to gauge, but a 2L coke, or a wimpy burger, those get me depressed. 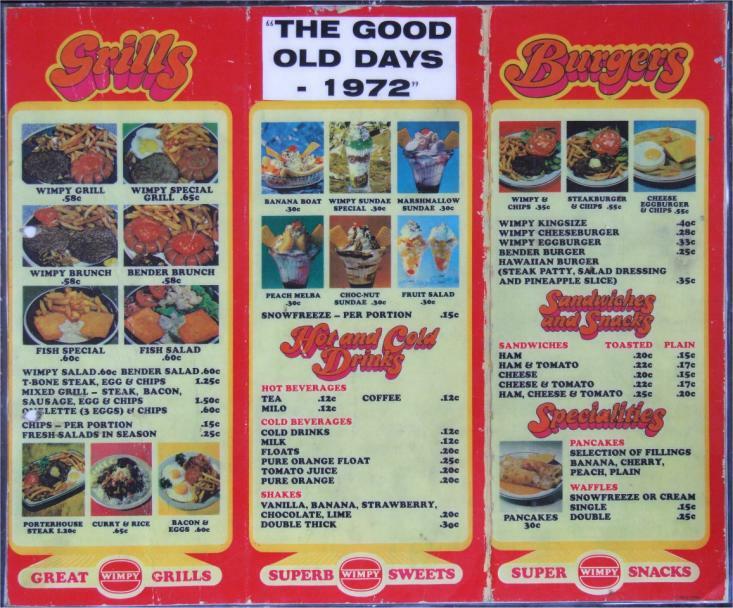 And the food still looks exactly the same!